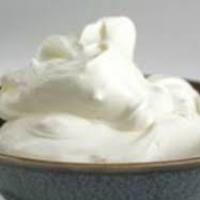 A delicious coconut whipped cream. S&V, but best after 3 days. This recipe is the property of MediocreVibes and released under the CC Attribution-Noncommercial 4.0 license. You may not copy, derive or commercialize this recipe without following the terms of this license or the explicit permission of the creator.